If you need to locate your Grasshopper model number and serial number, we can help! 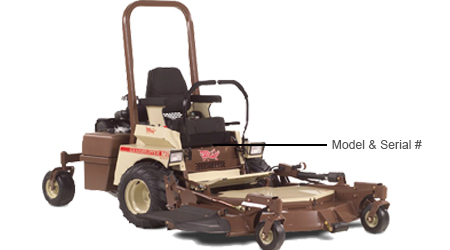 Find your Grasshopper equipment below to see model and serial number locations. The model and serial number sticker on FrontMount and MidMount Grasshopper Zero Turns is located under the seat, on the right side of the frame. Find your Grasshopper Mower Parts. The model and serial number on a Grasshopper Deck is located on the right, back side of the deck.